The air, said to have been captured from Saturday night, has already amassed bids of £65,900.00. 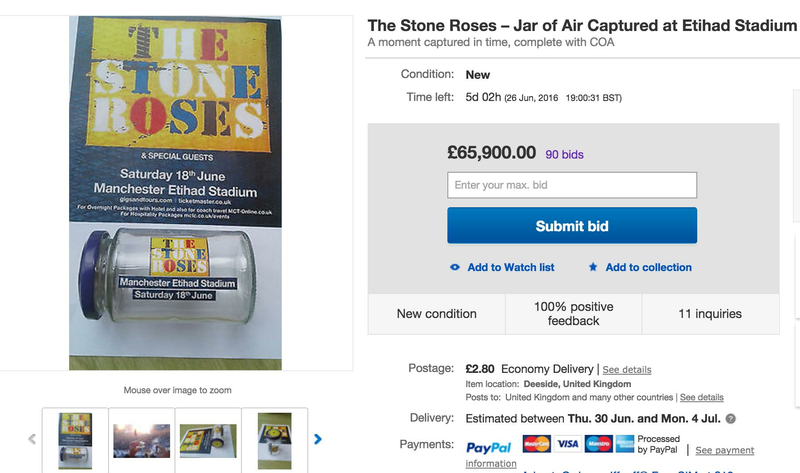 A fan of The Stone Roses has put what they claim to be a jar of air taken from their gig at the Etihad Stadium on Ebay, and apparently it's already reached over £65,900 bids. Ebay user frogmas1969 - who attended the gig at Man City's football ground last Saturday (18 June) - has literally captured the atmosphere of the night in an attempt to sell it online. 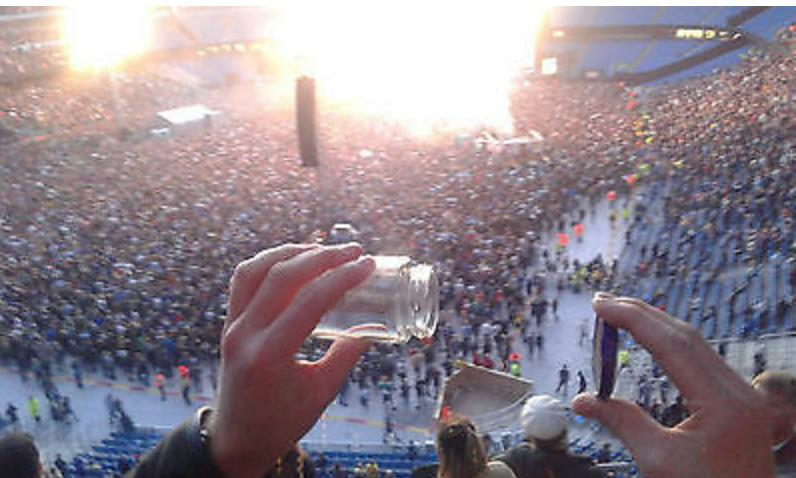 The fan, who claims the air was captured during I Am The Resurrection, writes in their description: "You are bidding on a Jar of air taken at the Stone Roses concert at Manchester Etihad Stadium, Saturday 18th June 2016. All the atmosphere, anticipation and ecstasy of 60,000 people singing their hearts out – captured forever in this glass jar." They add: " I swear if you place your ear next to the jar you can still hear a faint reverberation of [John] Squire’s solo." Despite everything looking totally above board, we have just one hole to pick in the the fan's description. And everyone knows the band end their set with the track, so it's impossible the picture was taken at the same time. See our video of The Stone Roses performing their classic track at the Etihad on Friday night. Other than that, we're sure it's 100% worth the money.